The Grating Clip™ fastener from BeamClamp is a cost effective method of securing steel grating to existing structural steel members. 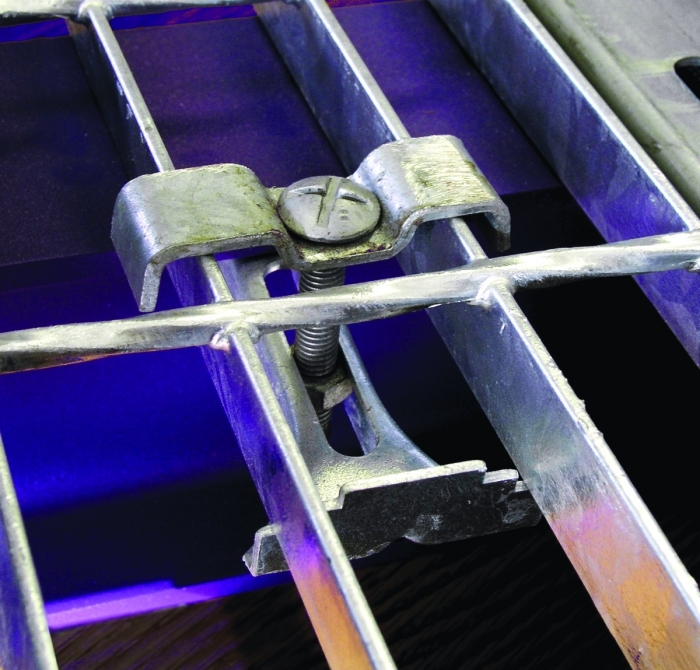 Clamping the grating eliminates costly and time consuming welding and drilling. Access below the grating is not required, resulting in a quick and simple installation. The Grating Clip™ fastener can be installed with a screwdriver and can be easily removed to allow the grating to be repositioned or removed for maintenance purposes. 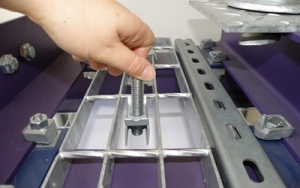 The Grating Clip™ fastener will suit grating bar widths from 1-3/16 to 1-5/8 and grating bar depths up to 2 to ensure that most standard grating sections can be accommodated. This product is supplied with a galvanized finish. The Grating Clip™ is available from our specialist subsidiary company LNA Solutions Inc, based in Ann Arbor Michigan. For technical information please visit the LNA Solutions website.